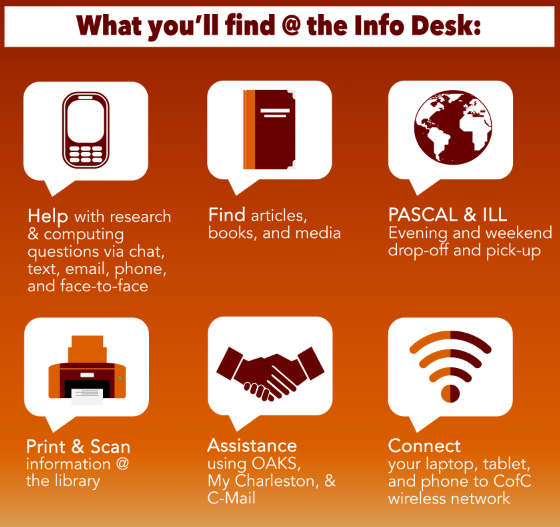 The Information Desk provides the CofC community with answers to research and computing questions. Visit us on the 1st floor of Addlestone Library or contact us using any of the methods below. 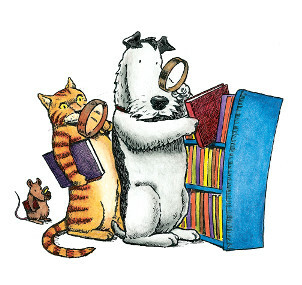 A librarian will be available in Addlestone Library for walk-up or Skype research consultations, Sunday - Friday, or you may schedule an appointment in advance. For additional assistance, please email Burton Callicott, Head of Research & Instruction Services, at callicottb@cofc.edu.